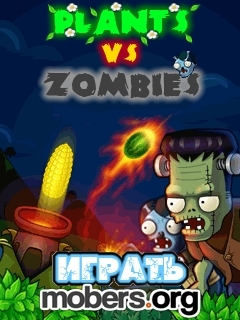 Plants vs. Zombies 2012 (by Unknown) — Mobers.ORG — Your Daily Source For Mobile FUN! 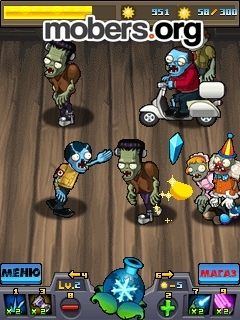 Meet the clone of Plants vs Zombies for Java! Friendly style courtyards, streets, urban scene, hot deserts, new zombies, colorful graphics, dozens of levels and tasks, fun and exciting. 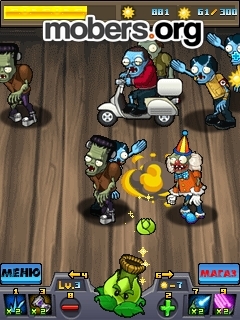 You play as hell plant, which mercilessly destroys the evil zombies in their territories. For firing plants you need sunlight, so look for an indicator at the top. In the arsenal you have enough weapons to level up. 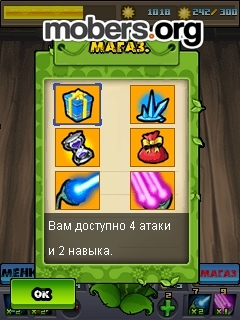 Buy and use the additional weapons from the store. The game sends free* SMS. If you are afraid, then play in flight mode or without SIM card!